Why Isn’t September 11 a National Holiday? Giving all federal employees the day off is expensive. Really expensive. A 2011 report from Rasmussen estimates each national holiday costs the federal government $450 million to pay federal employees for the day off and their lost productivity. And that’s just for the federal government. It gets even more expensive if state and local government offices follow suit (They often do, but not always. Columbus Day is a good example where some state and local governments don’t follow the federal government example.) When New York looked into declaring the day a state holiday back in 2002, they ultimately balked at the designation when they calculated it would cost the state $43 million to do so. There are some who argue making 9/11 a national holiday is a recipe for turning a national tragedy into something that gets commercialized to sell mobile phones, TVs and appliances. It doesn’t take much to see why this argument could well turn out to be true. Look at any of the national holidays we have today, and how they have moved away from their original meaning to became a day for retail stores to offer consumers deals and sales wrapped up in the holiday theme. Do we really want to celebrate Patriot Day by going to the local Walmart to see all the great deals they have for $9.11? September 11 falls at a bad time to add another federal holiday. Labor Day is celebrated the first Monday of September. This means that Patriot Day would only be a week or so after another holiday, which would create two short federal work weeks in a row. Although the solution is moving Labor Day to another designated date, it’s a logistical issue which makes it more difficult to designate Patriot Day as a federal holiday. Does this mean 9/11 will never become a national holiday? No, and it quite possibly could become one in the future. 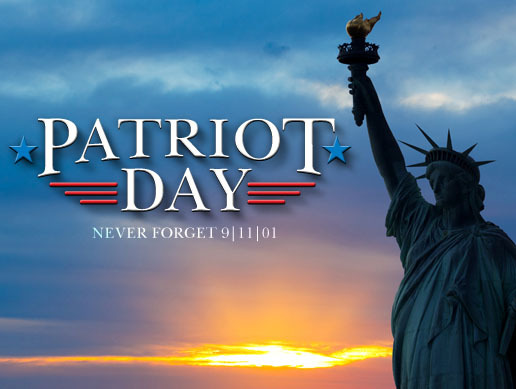 The biggest obstacle – the cost of the holiday – could be muted by replacing a current federal holiday with Patriot Day; the one most often mentioned being Columbus Day. We may decide that as a nation, the cost of another national holiday is worth the price to remember those who died that day. National holidays can take time to come into being. It wasn’t until 1984 that Martin Luther King Jr.’s birthday was designated a national holiday. Should September 11 be a federal holiday? Let us know what you think in the comments. What is the Global Cost of Terrorism?